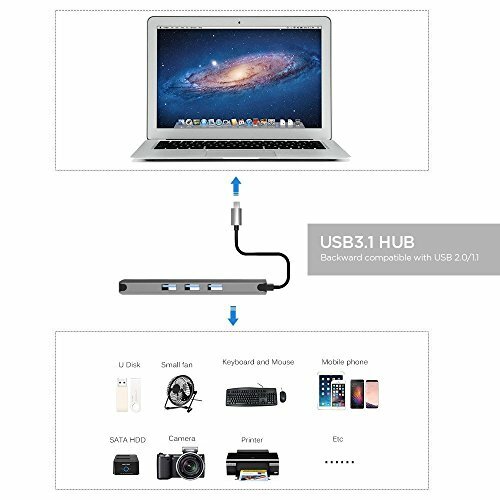 1.Instant Expansion: USB-C Hub with charging port, HDMI Port, 3 x USB 3.0 Ports, HDMI 4K Video Outpu,RJ45 Gigabit Ethernet port,3.5mm Audio Jack,SD/TF Card Reader .does not require any software, drivers, or complicated installation process. 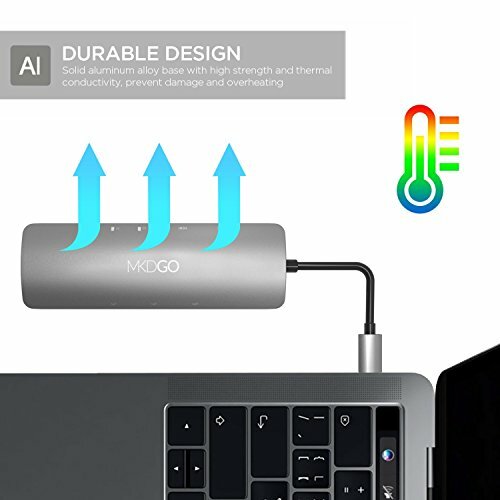 2.Designed for Type-C products : including new 2017 MacBook Pro, Chromebook,as well as other compatible USB Type-C devices. 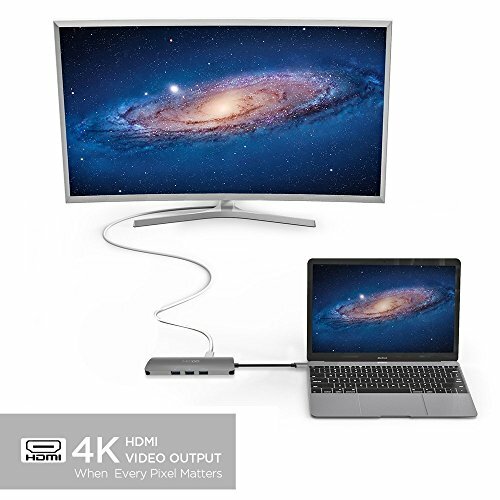 3.USB 3.0 Ports: Allow you to connect keyboard, mouse, thumb drive to MacBook Pro or other Type-C devices, and access files from SD card reader. 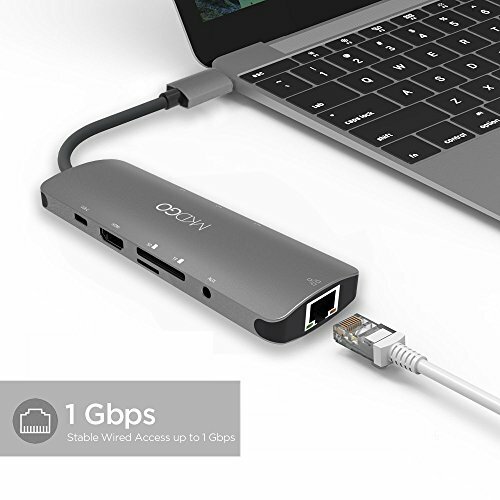 4.Sleek & Compact :the compact and easy-to-use design makes it simple to take the Type-C USB Hub with you anywhere you go. 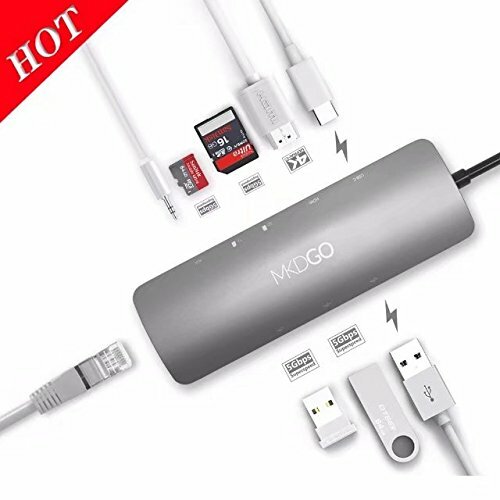 5.Buy With Maximum Confidence: CE and RoHS certified, our device has stable output, temperature protection, anti-over current and anti-short circuit - not to mention that it is backed by a 12-month guarantee as well!